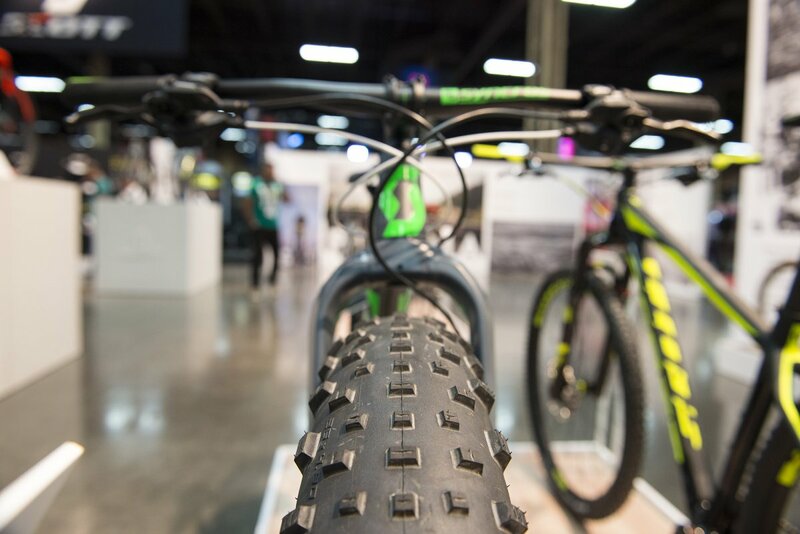 Officially named the Annual Interbike International Bicycle Exposition, "Interbike" is the largest trade show for the bike industry in North America, and only the second worldwide. 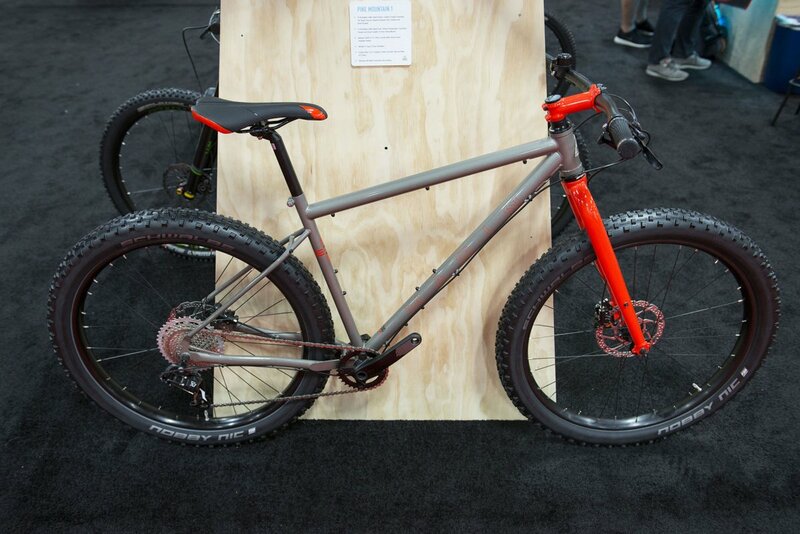 Drawn to the cavernous yet glitzy depths of Mandalay Bay in Las Vegas, bike industry manufacturers held nothing back in showing off their latest and greatest products. Outdoor Project was thrilled to attend this year's event and take a look at some of the industry's greatest gear. As is the case when visiting any large gear exposition, you just can't look at everything: we overlooked many of the exquisitely crafted Italian road bikes, products that were too gimmicky, or poorly built stuff that you simply can't trust; likewise, we didn't spend too much time with the huge wave of e-bikes on display, though the movement is real, unapologetic, and definitely worth checking out. They're here to stay. No longer just a gimmick, 4-inch tires are proving their worth. Beyond beaches and sand, fatbikes are opening up exploration for all four seasons. Off-road touring is coming into its heyday, and nothing is more durable and flexible than steel. When equipped with cushy 3-inch wide tires, bikes with steel frames can skip the weight and complexity of suspension, making these all-terrain bikes fun and affordable. 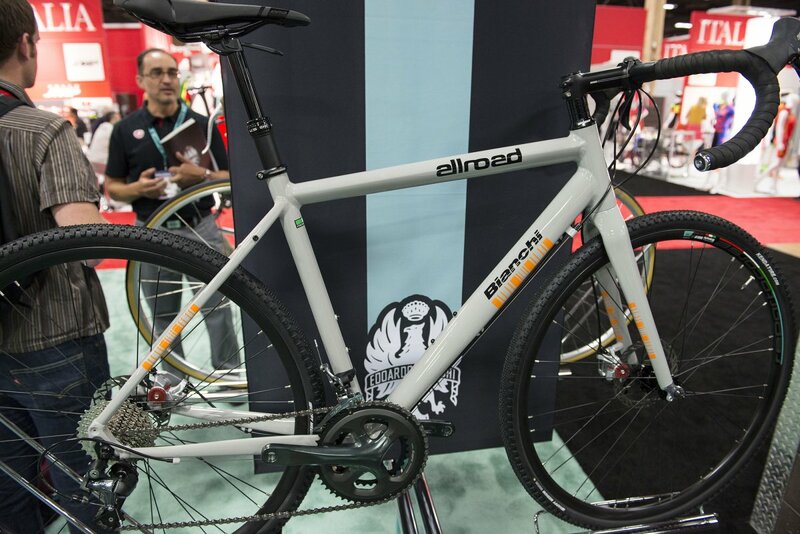 Somewhere between a cyclocross bike and a road bike, the category of gravel bikes is eliminating the need for more than one bike. 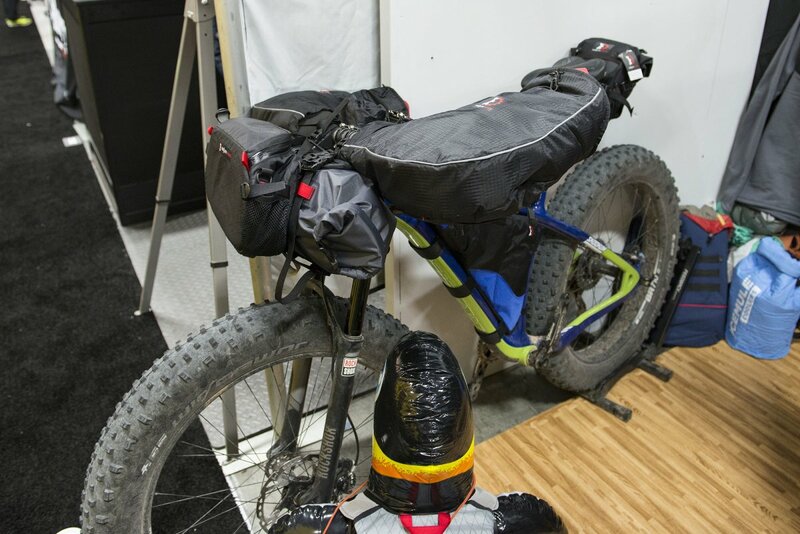 Some say they are a road, cyclocross, mountain, and trekking bike all in one. Steel frames, relaxed geometry, and disc brakes are standard. The only thing that's better than getting into the great outdoors for a day is getting into the great outdoors for multiple nights, and plenty of folks are crafting excellent storage systems to help you do just that. It's a trend we're excited to see.